I’m really sorry for the long delay of my Korea blog post..
Really busy in Dec 2012, meet up with friends, parties, work etc.. Finally I got a little time tonight to continue my Korea blog post, otherwise next week I’m going to be busy again with my work..
Day 3 of my Korea Trip in Oct 12, we headed to Jeju! This is my first time to Jeju, BFF and I were pretty excited about Jeju!! Woke up early in the morning, catch the subway train to Gimpo Airport Station to take the domestic flight to Jeju! Initially, I wanted to book Jeju Air, but due to the unfriendly online payment system, it really makes me very difficult to book the air tickets through their website. I found T’way through a blog I searched online and reviews were quite good! They also having some discounts for booking certain timing of flights. 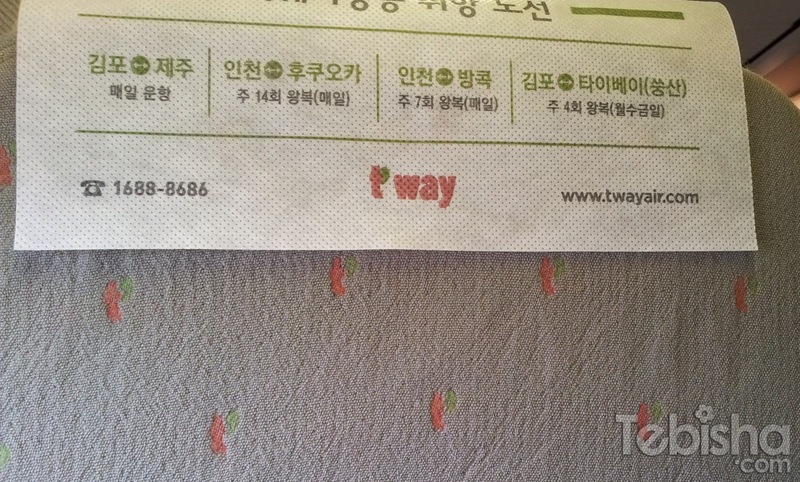 My T’way air ticket from Seoul to Jeju return trip cost 114,100 won per person. On board on T’way! Can’t wait to arrive Jeju! We arrived Jeju Airport at around 10.35am, took a Taxi to our Hotel which cost us less than 5000 won! 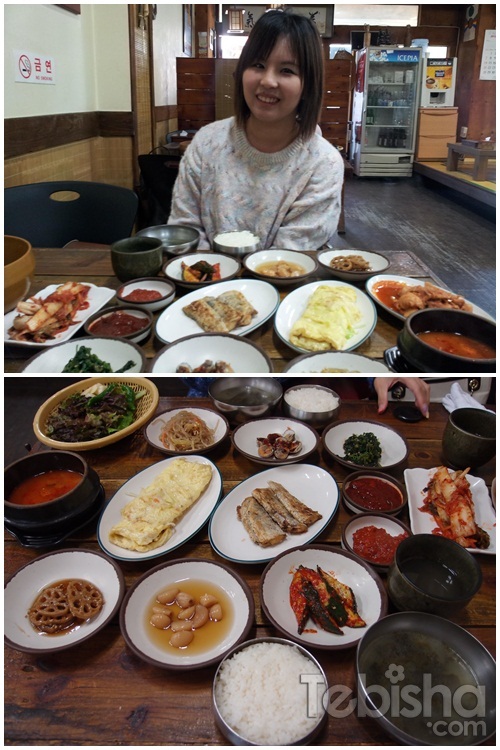 I chose a Hotel near to the Airport for convenience and the area we stayed is Yeon-dong with streets of shops and restaurants nearby! As our Hotel only allow us to check in after 2pm, so we decided to find a place for lunch then head down to Teddy Bear Museum via Taxi. Since it was quite early, most of the restaurants have not open yet, we went to a nearby Starbucks and asked for the direction of any Korean restaurant available for lunch now. Lucky the staff is quite friendly and draw us a map to the restaurant. Look at the spread! Yummy! Except for the fish, full of bones which make us difficult to eat and had to be real careful. After lunch, we took a Taxi to Teddy Bear Museum! It cost us around 20,000won++ to get there. Teddy Bear Museum is located at the West of Jeju, Taxi journey took around 1 hour to reach from our Hotel area (Yeon-dong). 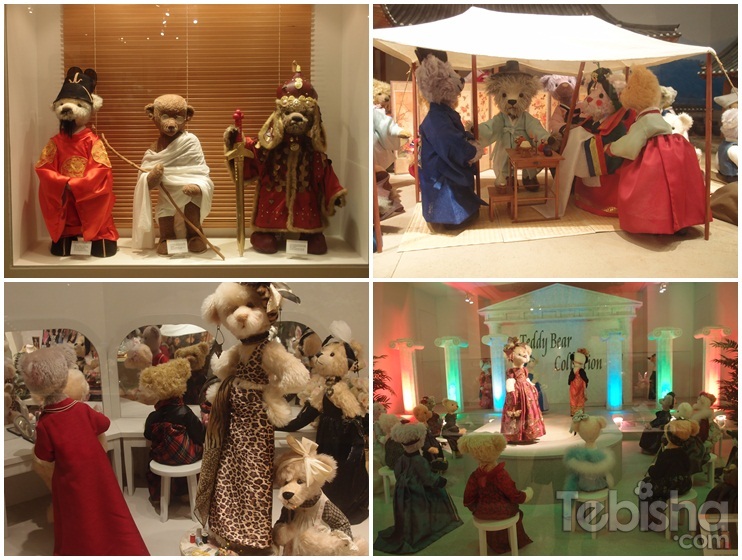 There’re Indoor and Outdoor for the Teddy Bear Museum. For Indoor, total of 3 levels. Display of various Teddy Bears, history of teddy bears, etc..
For outdoor, there are giant teddy bear and some photo shooting spots for photo-taking! It’s more like a Teddy Bear Garden. There’s also a souvenirs shop inside the indoor building, where you can get some special souvenirs back for your families and friends! Pandas outside the souvenirs store! 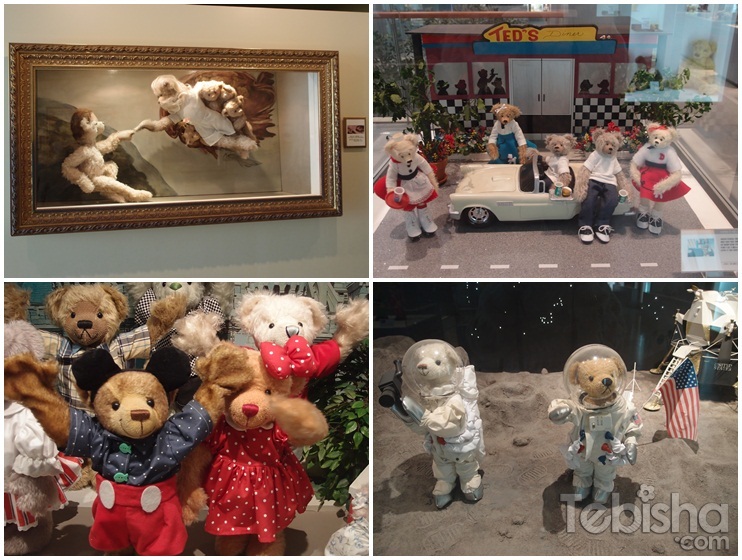 Actually, we were quite disappointed with the Jeju Teddy Bear Museum, it’s not as big as what we expected. And nothing really special for us to rave about. The only nice place was the Outdoor Teddy Bear Garden, where you can take lots of nice pictures over there. 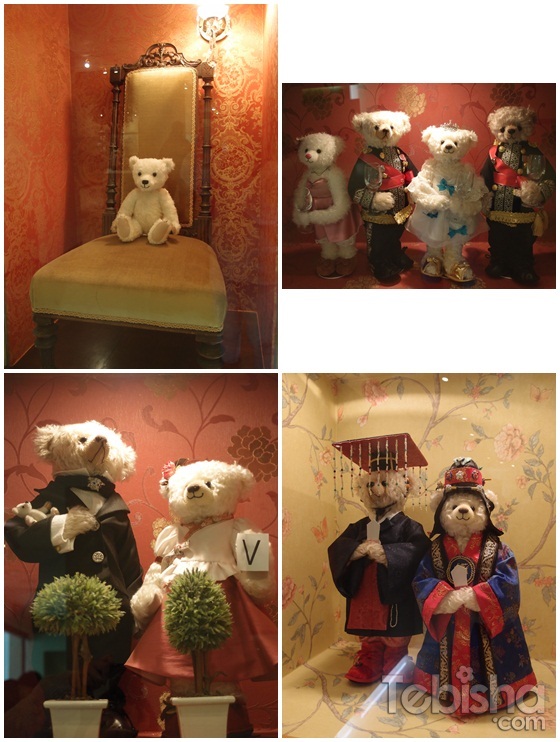 If you prefer indoor, Seoul Tower Teddy Bear Museum is good enough for you to visit. We spent less than 2 hours there and decided to head back to Yeon-dong to check in to our hotel room. If you wish to spend more time at Teddy Bear Museum area, you can visit Ripley’s Believe It or Not! Museum opposite Teddy Bear Museum. I believe its quite small as well. Took a Taxi back to Yeon-dong and finally we checked in to our Hotel room! 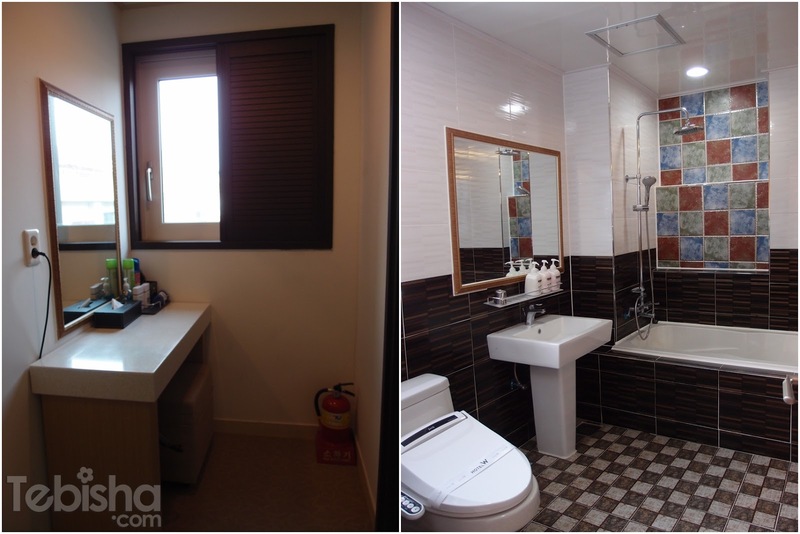 I booked Hotel W Jeju, it cost us around 101 SGD per night which I think is quite reasonable. Room is big! 1 queen size and 1 single bed! 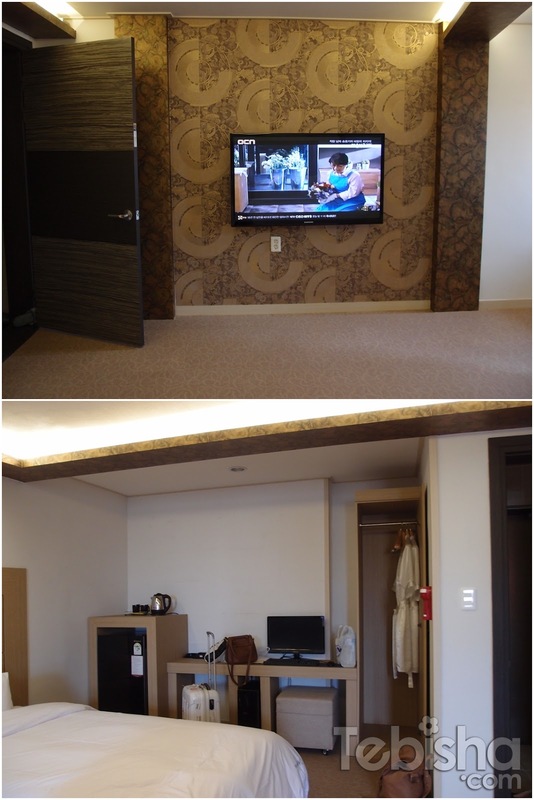 Spacious walking area and large LCD TV! As we woke up really early to catch the flight in the morning, we were deadbeat tired! After checked in, napped till evening and went out for our dinner nearby! We had Black Pig BBQ Meat! Jeju is famous with its Black Pig, so it’s a must have when we go there! After dinner, walked around and found my BFF favorite Korea bakery, Paris Baguette! It’s a must visit when you are in Korea! 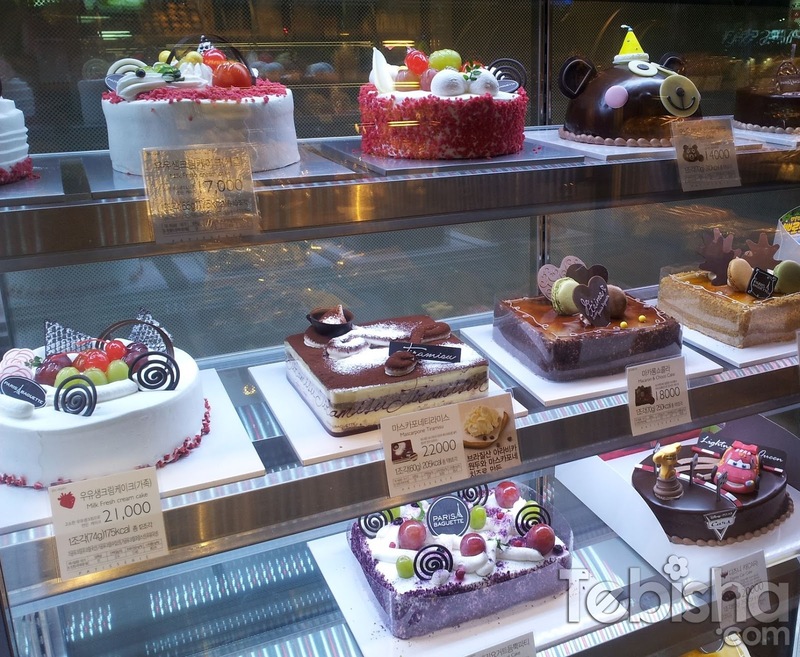 Look at the beautiful cakes inside the fridge! And we found this cute bottle of fresh milk. 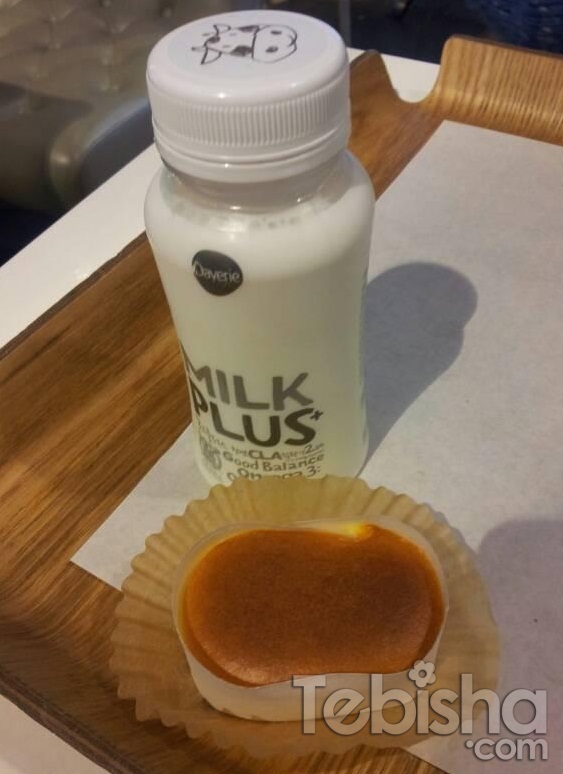 You can never find the taste of this Fresh Milk in Singapore! My BFF totally crazy about it and even bought 6 bottles back to Singapore! And the yummy mini cheese souffle! I tell you, the taste is heaven! Day 2 of our Jeju trip, we hired a private taxi to bring us around! Stay tune to my next Korea blog post! 2012 coming to the end.. Welcoming 2013 soon! Hi, which BBQ Pork restaurant u went? Is it walking distance from Hotel W Jeju? Thanks!